It’s come to that point in both your child’s life and your own where it’s time for them to move out and get started on a life of their own. Whether they are starting college in the next town over or starting a new job, they want their first taste of independence and you are eager to give it to them! But the main problem is that neither of you can seem to find an affordable flat to rent for the time being, which halts the process of your child moving out and gaining their highly anticipated freedom. As a parent, you want to give your child what they need and deserve. You want to grant them a place of their own, but it can’t be helped on either one of your parts when the search dies down to very few options that don’t seem like the best available. But there is probably one option that you haven’t quite considered yet, or maybe didn’t even know about! Don’t worry about not being able to find a flat in your child’s price range when you can build them an affordable home right in your backyard with Superior Granny Flats. Though a popular fad as of late, the concept of a granny flat seems to be a relatively new one for most people. Throughout the Gold Coast and Brisbane, your co-workers, friends, and neighbours have all been building their own granny flats on their property for a variety of reasons. 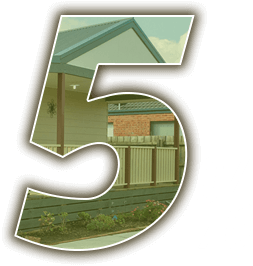 Versatile and cost effective to build, a granny flat is a home extension that is built within the same section of land that you already own. Depending on what kind of granny flat you want to build, they are essentially secondary houses that come in a variety of colours and materials. If you dream it, we can build it. A granny flat comes built in with a bedroom, walk-in closet, bathroom, and other amenities based on what you need. They can be furnished with a fully functioning kitchen with utilities included, as well as additional bedrooms, a laundry room, a lounge area, and more. This is perfect for parents who are trying to help their children find a place of their own. They want to move out and have privacy and their own space, while also receiving support and comfort from their families that will only be a few yards away. A granny flat is the perfect first time home for kids that are just moving out on their own. Because we have flats that are customisable with laundry areas and kitchens, your child will be ecstatic that they can live on their own, and not have to travel very far to visit family.